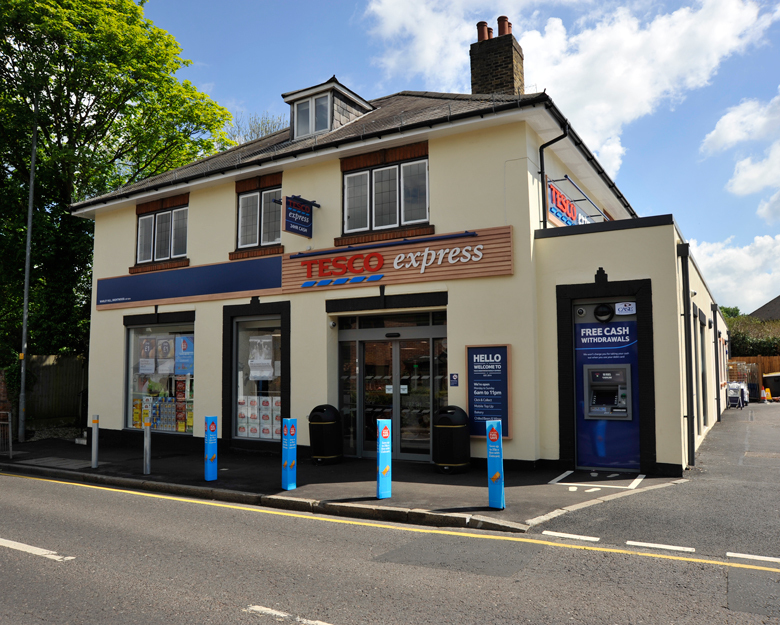 Longcross began working with Tesco in 2003 after winning a competitive tender for the Tesco Express roll-out. The first project, a Tesco Express in Chessington was a success and led to Longcross delivering over a hundred Express stores. Since then, the partnership has thrived and Longcross carries out refresh programmes, refurbishments and new-builds for the Express brand, Tesco Superstores, Tesco Extras, and Tesco Direct. Taydal was approached to resurface the car park of the first of the new generation Tesco EXTRA stores in order to extend and refurbish the site’s facilities. As this project would be taking place on a live store, we received many visits from high level Tesco executives. It was imperative that Taydal met the high expectations of the project and within the fast track time-scale. Although we have successfully worked on many Tesco stores, we had not worked directly with Longcross on such a major project before. Longcross Ltd selected Taydal for this important project due to our trusted track record working on Tesco stores and our competitive price. Once our estimator, Shane Dale, had financially secured the project, our Director, Wayne Dale, oversaw the on site delivery by meticulously planning the daily workload to meet the coordination needs of the project. Wayne then remained site-based for the duration of the project and ensured that the works finished ahead of schedule. In order to further achieve this aim, we had to ensure that our productivity was optimised to meet the planned programme as the car park was still being used by the public and agreed areas were sectioned off each day. The £190k project, led by the Principal Contractor, Longcross, was undertaken during a seven day period while the store was trading. The programme was fast track, with close liaison, communication and coordination being essential to meet the delivery schedule and protect the reputation of Longcross Ltd.
We resurfaced 17000m² of the car park by planing 30mm from the existing surface, applying Colbond 50 Tackcoat and machine laying 35mm thick Wearing Course.